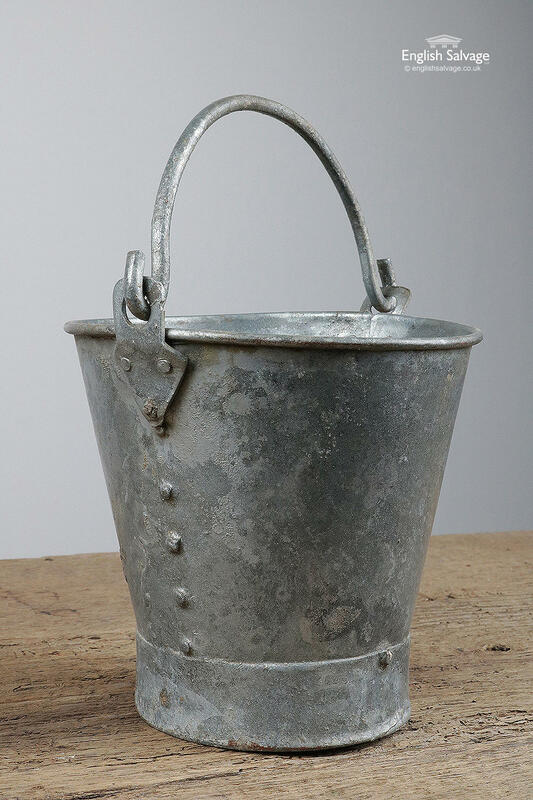 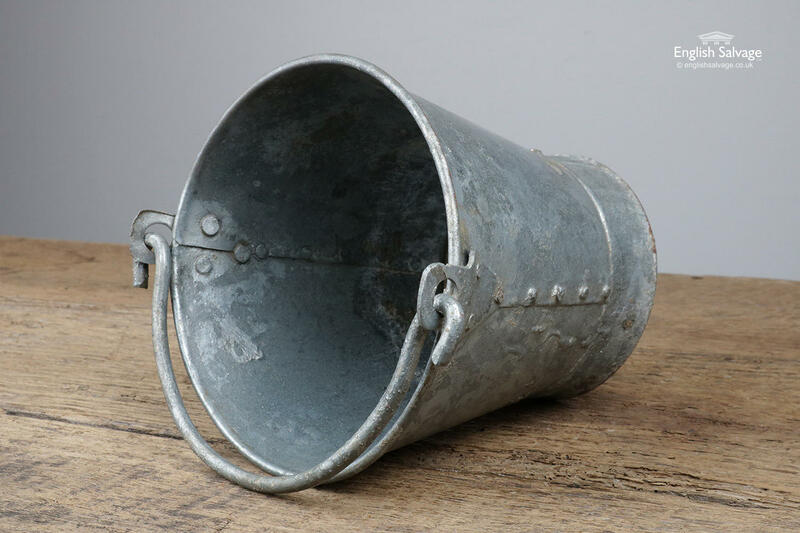 Reclaimed small galvanised and riveted buckets. 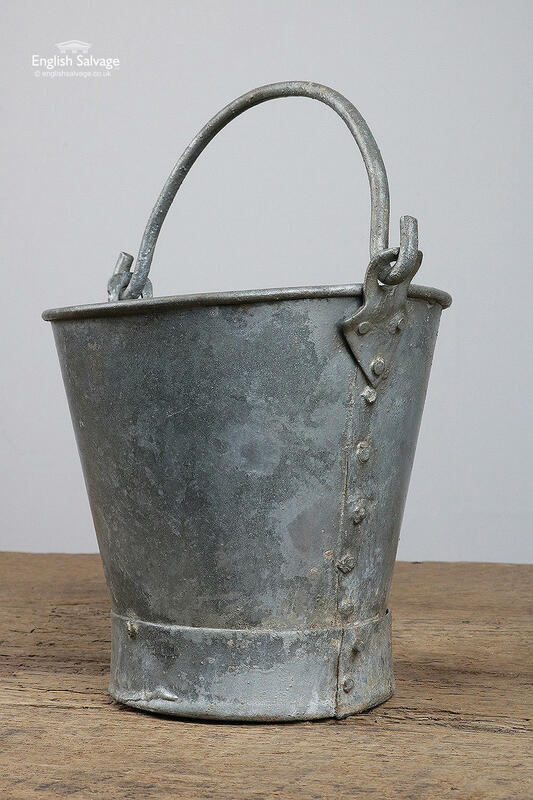 Overall size excluding handle below, the bases are 11.5 - 12cm diameter. 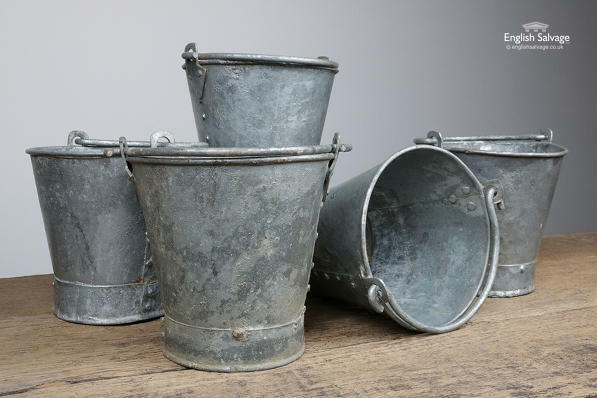 All displaying varying signs of slight wear.